From shimmering specters to mysterious tricks, Varla Ventura�s Paranormal Parlor includes original supernatural tales, classic ghost stories, legends, hauntings, s�ances, superstitions, and death customs. 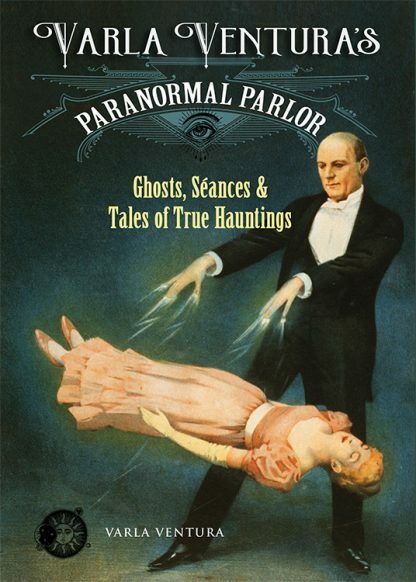 This book showcases a chilling collection of startling ghost stories as told to the author as well as legendary ghosts and haunted locations and an overview of the paranormal parlor games that rose to popularity in the Victorian and Edwardian eras. It also includes hidden history such as the story of Mark Twain�s ghost, and the quiet horror writings of the architect who started the Gothic Revival movement (Ralph Adams Cram).